Snapchat’s recently published IPO prospectus is revealing when it comes to a phenomenon I like to call ‘the invasion of the social media players’. 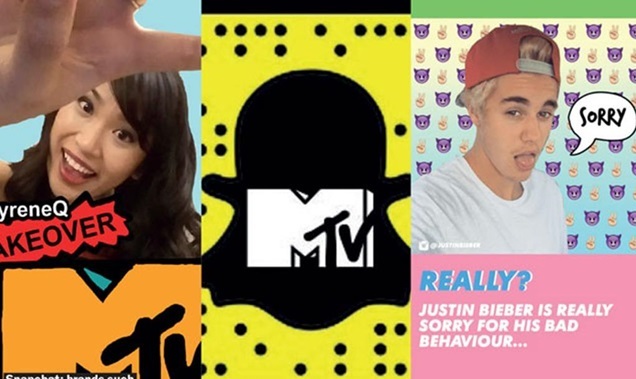 Snapchat considers itself a “camera company”, but the disappearing messaging app doesn’t act too differently from TV. Its users view 10 billion videos a day, but the videos – never longer than about 10 seconds each – are typically strung together into ‘stories’ that can last several minutes. For those young enough to understand how to build a Snapchat network, watching these video ‘stories’ is a telly-like experience. The other thing that makes the Snapchat video stories telly-like is that they are refreshed often. Some 25% of users post daily and there is also a lot of content from celebrities, brands like Comedy Central and MTV and a host of advertisers, which split revenues with the service, much like a commercial TV channel. And here’s another interesting thing: Snapchat ads feel less disruptive and more interesting than those on YouTube, maybe because they are shorter and use ‘lenses’. Taco Bell’s taco head lens (look it up, it’s weird and wonderful) attracted 224 million views, for instance. Snapchat users spend 25 minutes a day on the platform, according to the company’s fi ling, and its annual revenues are slated for a six-fold rise to $404.5m (£325m) at the end of 2016. Snapchat isn’t the only social media player looking to steal a march on telly. Facebook has been commissioning content from the likes of The New York Times and developing its Facebook Live business, and is reportedly developing a video-centric app for TV set-top boxes. How long before it’s a ‘channel’ like YouTube and Vevo, which are already on the Sky Q box? Facebook is beginning to talk to media owners about licensing longer-form content as it seeks to increase its grip on digital advertising, where it is second only to Google. These social media players are keen to move from being mobile-first to video-first because video is the big draw for users – and it’s video that will give them a bigger share of the TV ad cake. So what is the right response to the social media players starting to trample on TV’s turf? Last week, Turner invested in digital sports company BigBalls Media, owner of digital football fanzine Copa90, to leverage its content and distribution expertise. A senior Turner exec told me it’s about a wider strategy to gain increased distribution and build up “mass niche audiences” on a variety of devices and platforms. It’s about learning how to engage with audiences differently – in many cases through direct-to-consumer relationships – and working to own the best content that any platform will want. Endemol Shine Group has ambitions to create digital content hubs for its biggest brands, building on the success of Mr Bean, which in December outstripped The Simpsons as the biggest TV brand on Facebook. Chief executive Sophie Turner Laing has said the company wants to grow its digital business from 5% of revenue today to 20% by 2020. It’s won’t be a easy to outpace the native digital players, especially when the market could value Snapchat at upwards of $25bn (£20bn) next month, but the upside is big and getting it wrong is not an option.